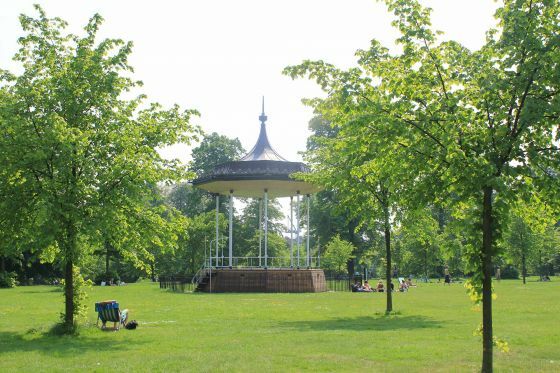 The Bandstand in Kensington Gardens is located to the south of the Round Pond. 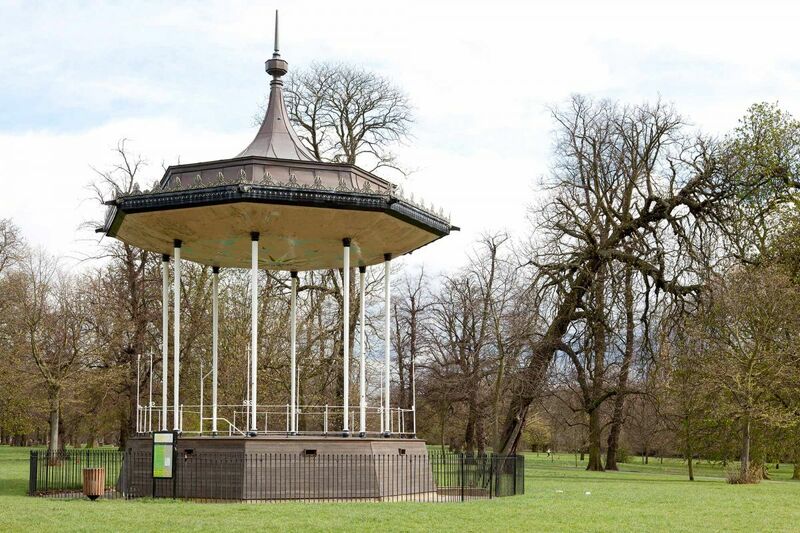 Installed in 1931, this bandstand was designed by J Markham of the Office of Works. 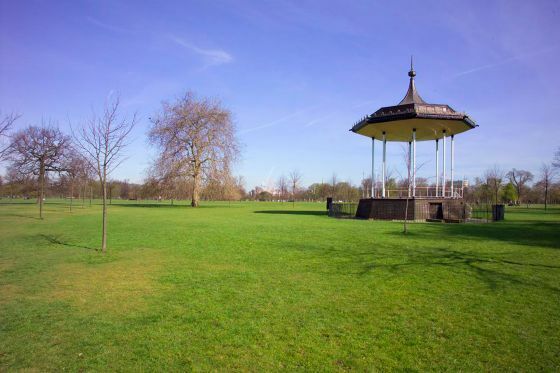 An earlier bandstand was installed in 1869 near Mount Gate, off West Carriage Drive, and later moved to Hyde Park in 1886. 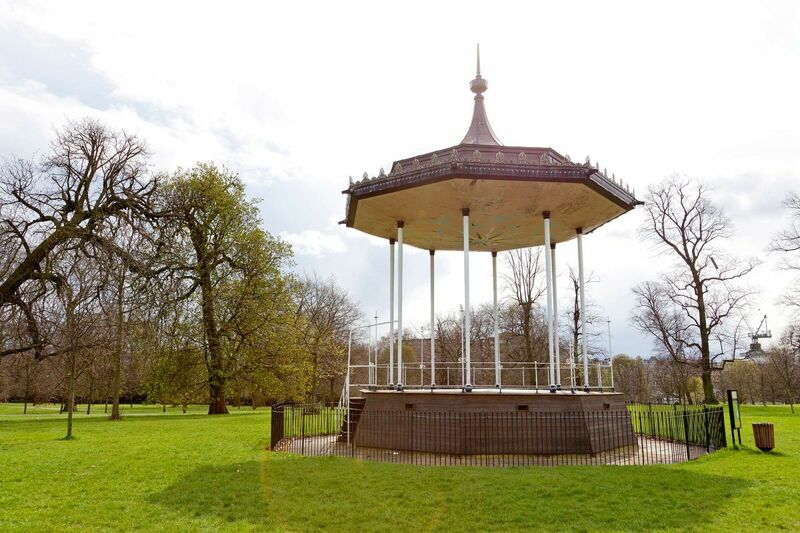 The design is Regency style with eight delicate iron columns supporting an ogee (S-shaped curve) roof. The shape is said to have better acoustics than the conventional design. Queen Victoria gave permission for music to be played in Kensington Gardens in 1855. But before a concert could take place, permission was rescinded because of protests from the Archbishop of Canterbury, who said music in the gardens would be "unseemly", and the Keeper of the Privy Purse who thought working people could do without band concerts. View upcoming events in Kensington Gardens to see if any performances are scheduled.